Capcom's big hitters will be coming thick and fast in the future as the company unveils plans to double its major releases. Capcom plans to increase the number of big games it releases from major franchises like Resident Evil from two a year to three or four. Capcom's goal is to try and stabilize its sales and avoid drops in earnings by releasing more software over the course of the year. In order to maintain that level of output, Capcom plans to outsource much of the development duties to other studios, primarily in Europe and North America. 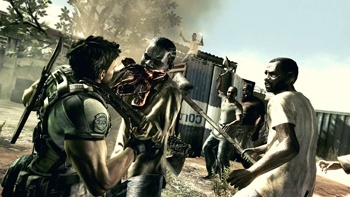 Capcom hopes that this use of external resources will also let it cut its development time down from four years to just two or three. It's much too early to call this news either good or bad, as a lot will depend on how it's implemented, which studios are involved and a whole host of other factors. It's entirely possible - and quite likely - that it will be better for some games than others. But while there's a lot to be cautious about here, there's also a lot of very interesting things that could come of this, and for some franchises, this might be the best thing that has ever happened.